Andrea Russett joined YouTube in July 2008. Since then, she has gained 2.2 million subscribers, been featured in a movie, and travelled to countries around the world to meet her adoring fans. Andrea has created a name and a business for herself all through the creativity of her videos. “It started off out of boredom. Me and my friends would just do weird stuff and then I’d compile it all together, like a big compilation of weird. For some reason people enjoyed it,” Andrea shares with us. 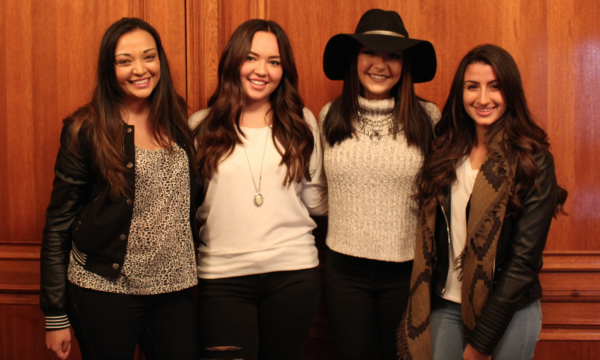 Faze girls with Andrea at Buffer Festival! Since then, Andrea’s channel has adapted to a lifestyle/comedy channel with a large variety of videos, including morning routines, vlogs, challenge videos, and funny skits. With all the success that Andrea Russett and other YouTubers are experiencing, many people have now turned to YouTube as a career path. “It’s definitely considered a career now, so it’s kind of like a career path you can take.” Andrea says. 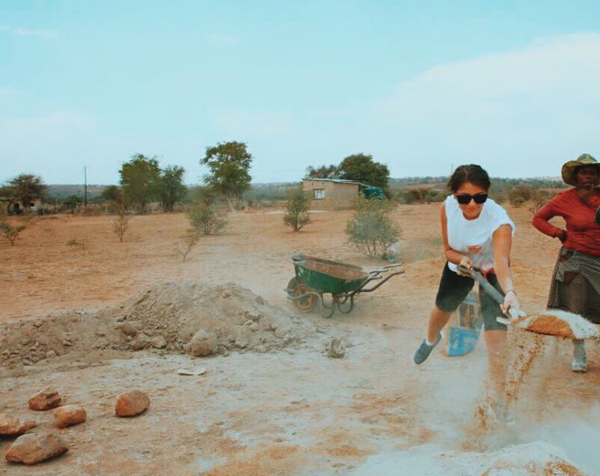 Andrea building a well in Africa! Andrea has recently been using her platform as a web celibate take on a philanthropist role. In the past she has spoken on world issues, and even created a fundraiser of her own called Dollars For Collars where she sold wristbands and donated the funds to the animal shelter. Andrea is now working with the Thirst Project to help build wells in Africa for people without clean drinking water. “I’m actually going to Africa, on November 8, to actually be there, see the wells being built and help build the wells.” Andrea says. To learn more about the Thirst Project and how you can help click here.